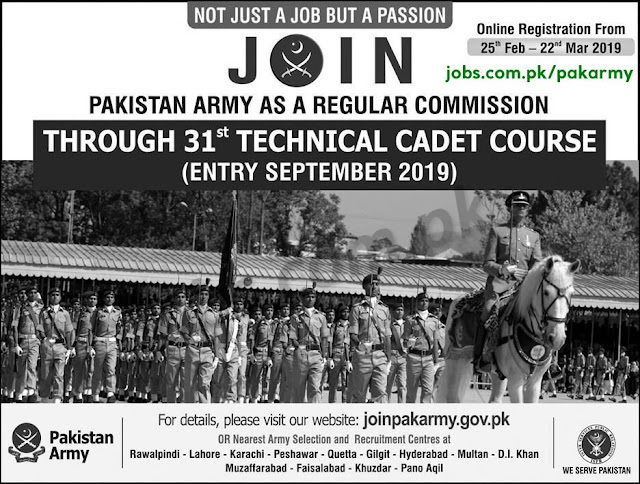 Pak Army announced 31st Technical Cadet Course shortly known as TCC. Registration has been started from 25th February and will continue till 22nd March 2019. It is a great opportunity for all passionate youngsters to avail this golden opportunity and serve the nation.